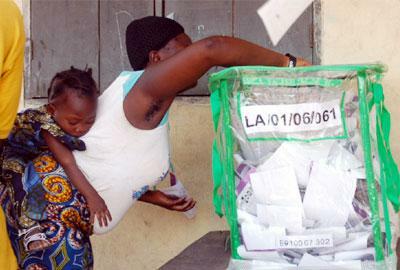 With less than four days to the local council polls in Edo State, civil society organisations that are in the state to assess the readiness of the Edo State Independent Electoral Commission (EDSIEC) for the polls, the dispositions of the electorates and political parties towards the elections and other variables crucial to a hitch-free exercise, have scored EDSIEC high on its preparedness. Nweke said they observed that EDSIEC is committed to conducting free, fair and credible elections in the state, by providing a level playing ground for all political parties in the state to participate in the elections. They further recommended that the electoral umpire in conjunction with civil society organisations engage in massive voter education and sensitisation before the next election and advised the Edo State government to declare Friday, March 2, 2018 as public holiday to enable civil servants and other stakeholders travel back to their communities and wards to exercise their rights. The post Edo LG Polls: Civil Society seeks 5-year ban for PDP, others over boycott appeared first on Vanguard News.